It should probably come as no surprise to you that I'm an animal lover. Until three years ago, I'd always had pets around the house, going back to when I was just a little kid. At parties, I'm the one that's over in the corner, talking to the dog or cat instead of interacting with the other people there. 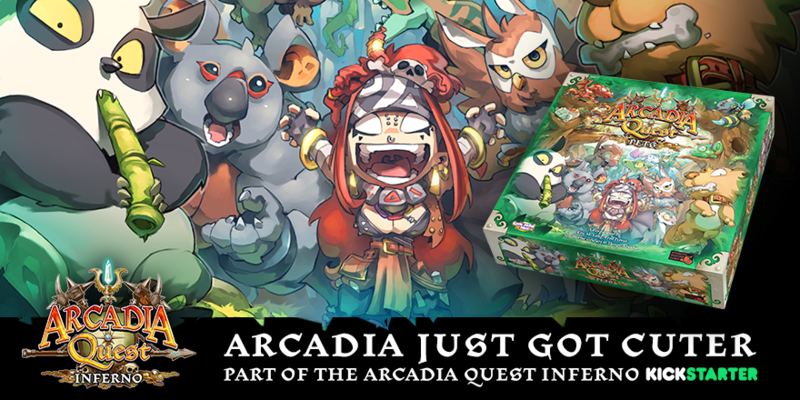 Well, now Arcadia Quest is bringing in pets to the game. 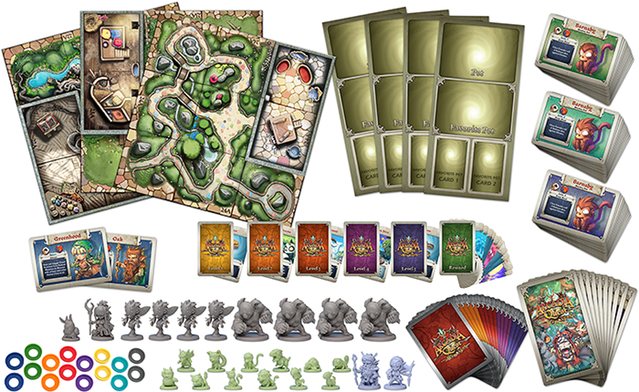 It's a full expansion that's just been added to the Arcadia Quest Inferno Kickstarter campaign. This is more than just some little critters to tag along with your heroes as you travel the land. This is a full campaign expansion for the game. The witch Vexia has taken over the Gardens of Arcadia and is experimenting on creating new animal hybrids. It's up to the various guilds to go in after her and make sure that the animals are safe. Tagging along are the new pets that your heroes can pick up along the way. They get their own dashboard and abilities to help you out as you go along. The pets can even level up, making their stats better and unlocking more powerful abilities. The set is an optional buy you can add to your pledge by adding in $50. The campaign is set to run for another 15 days.